As health-conscious consumers drink less soda, Coca-Cola has rolled out more waters, teas and juices, part of its goal to be known for something other than soft drinks. The WSJ interviews the company’s CFO, Kathy Waller…. Chief Executive, James Quincey, has been urging employees to be more innovative and executives to abandon the cautious stance some have held to since the company’s disastrous 1985 rollout of a reformulated Coke. 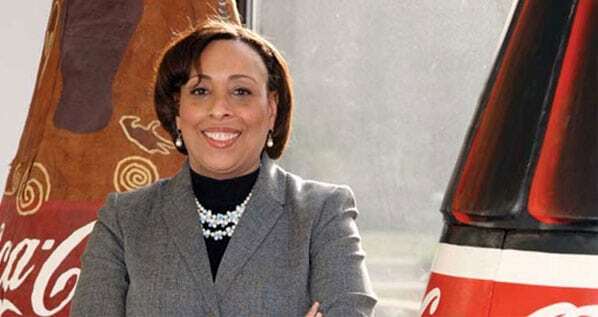 Chief Financial, Officer Kathy Waller, who joined Coca-Cola in 1987 as a senior accountant, has the challenge of overseeing cost-cutting while trying to lead more experimentation. She also plays a role in deciding which products and companies Coca-Cola should buy or back. As consumers focus on cutting back on sugar, can the Coca-Cola name signify healthful products? Waller spoke to The Wall Street Journal about what the company is doing to get there. WSJ: How is Coca-Cola trying to adjust to rapidly changing consumer tastes? Waller: Our current initiative, Beverages For Life, is about offering beverages for all types of people at all stages of their lives and for a variety of purposes. It is also about helping our consumers understand that we are so much more than the name on the building, the Coca-Cola Co. We have 500 brands and 3,500 products around the world. The second thing is the reformulations and the things we’re doing to take sugar out of our beverages. For a while, we made the point that we weren’t the cause of obesity. But as we talk to others and look at how others are viewing us, we realise that it’s not good enough to say we’re not the cause. We also have to be part of the solution. We need to give consumers that option and have more beverages that have less sugar in them. WSJ: What are some examples? Waller: If it’s got sugar, we’re probably reformulating it. You will always be able to buy, for the most part, the full-sugar version of something, and then you will have less-sugar options of those things. Some will be kind of a midcalorie version of the full-sugar version, and some will be no sugar, zero calorie. A few midcalorie options are Coca-Cola Life, which is sweetened with cane sugar and stevia leaf extract, Powerade, Honest Tea and Vitaminwater. WSJ: Was Coke late in acknowledging that it should be part of the solution when it comes to sugar, and is it late in pivoting to this total-beverage-company idea? Waller: We have already had the options out there. What we’re late at is helping our consumers understand how many options we already have. WSJ: What do you make of some people’s health concerns around diet sodas, such as increased sugar cravings or possible associations with risk for stroke and dementia? Is Coca-Cola considering these as it develops new products? Waller: Some people cannot metabolise one of the components of aspartame. That subset of the population is well aware of that issue and doesn’t consume products with aspartame. However, for the vast majority of the population, low-calorie sweeteners have been proven to be safe by world-wide government safety authorities, as well as hundreds of scientific studies. That said, we also know that some consumers want the option of products that are low- or no-calorie, with sweeteners derived from natural sources. That is one reason we are working on new products with ingredients like stevia. WSJ: It seems like sugar is part of the conversation these days in a way that it wasn’t even a couple of years ago. Waller: There have been ingredients that have, at one time or another, come under attack, and right now we happen to be dealing with sugar. I can remember in the past where salt was the enemy, fat was the enemy, etc. So I do find myself talking a little bit more about it. I think we all believe it’s the right conversation to be having as well. WSJ: What are you looking for, or keeping an eye out for, when it comes to potential M&A? Growth potential? High margins? Waller: We’re not necessarily focused as much on the margins at first because we believe over time we can take cost out of that. We’ve got the scale and ability globally to be able to reduce the cost of goods. 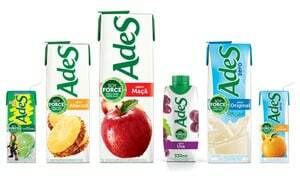 An example of that would be AdeS. We bought this product in Latin America, and now we’re also going to be selling it in Europe. The first priority is to follow the consumer. Our business units around the world identify trends or signals that our consumers are interested in, and if that’s a beverage or a category that we are not in, in that particular market, then we have to make a decision about whether we can move it from someplace else in the world that we’ve got the product or make it in that part of the world, or buy it. If I’m going to buy it, I would want it to have consumer appeal, and it has to be at the right price. Now, if it’s anything outside of the cola category, generally we’ll have higher cost of sale. The sparkling-soft-drinks category is one of the best in terms of margins that you can ever be in, so anything outside of that may have higher revenue potential, but it probably also means that the margins aren’t going to be as good. WSJ: Mr Quincey has talked about encouraging everyone across the company to be more comfortable taking risks and failing. What is the biggest challenge in changing that culture? Is there a particular behavior that you would like to see change? Waller: With any company that’s 130 years old and has a brand like ours, the first thing you think about is protection of the brand. Moving people from that protection-of-the-brand mind-set to a more risk-taking mind-set is a significant change, and it’s not one that comes easily, obviously, but I will put my money on James. WSJ: You have said that one cost-cutting measure is standardising recipes around the world. That seems to be contrary to this idea of experimenting in different markets. Waller: You can have slight variations of Fanta around the world based on consumer tastes. We just find ourselves with too many different recipes. WSJ: Do you have an example of a recipe change or an experiment with a recipe, that either worked or didn’t work? Waller: Fanta in Costa Rica. We were trying to reduce the sugar and change the recipe, and the consumer basically said “No thank you.” So we quickly put the original version back out. That happens quite a bit because we’ll try things, and we’ll experiment with a formula. WSJ: What is something that’s worked? Waller: Coca-Cola Zero Sugar. We were very worried about it in the US, because if you think way back to when we did the New Coke thing, everybody was so nervous about making any formula changes in the US. Coca-Cola Zero was working in various places around the world before we brought it into the US and then we did it slowly and carefully. The formula tastes very good, and the consumer has readily accepted it and it’s been fantastic. WSJ: But you’re not going to touch the formula of the classic red Coke. Waller: No, we’re not touching that. Not if anyone wants to stay employed. WSJ: You’ve been successful in the US selling smaller packages for higher prices. Consumers here actually pay more for a mini can than they would for a 12-ounce can. How long before consumers say “Enough”? Waller: I think we’ve got quite a bit of runway left, even in the US. Less than 10% of consumers are choosing mini cans, so I think we’ve got more runway. Today that value proposition works because it’s convenient. It’s being able to have the right size and not open a bigger bottle without leaving extra. You pretty much finish the smaller can when you open it. The other benefit is that you finish it while it’s still cold.